Instant email alerts about changes to your frequently used codes. Register your favorite codes and never miss a change that affects your bottom line. In California, fee schedule reimbursements change frequently, sometimes even weekly. Register your frequently used codes to receive alerts about relevant reimbursement changes, including changes to NDC numbers. 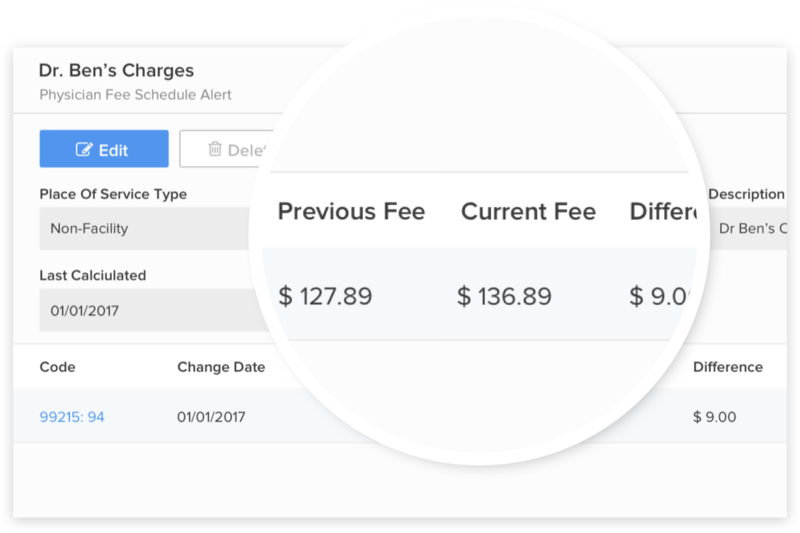 If a fee schedule change affects one of your registered codes, DaisyBill immediately sends you an email about the change in reimbursement. No more digging through fee schedule regulations and websites to figure out what’s changed and how it’s changed.